We’d love your help. Let us know what’s wrong with this preview of The Flower Girl Murder by Keith H. Hirshland. With no witnesses and few leads, Raleigh detective Marc Allen turns to the press for help—specifically, veteran news anchor Lancas Daisy Burns was a likable, devoted wife and mother who spent her spare time volunteering at school events. Everyone loved Daisy. So why would someone shoot her three times and dump her body behind a Planned Parenthood chapter in North Carolina? To ask other readers questions about The Flower Girl Murder, please sign up. Having read Big Flies by Keith Hirshland I was looking forward to reading The Flower Girl Murder. Daisy Burns (the flower girl of the title) was a likable, devoted wife and mother who spent her spare time volunteering at school events – why would someone shoot her three times and dump her body behind a Planned Parenthood chapter in North Carolina? With no witnesses and few leads, Raleigh detective Marc Allen turns to the press for help—specifically, veteran news anchor Lancaster Heart. When Tanne Having read Big Flies by Keith Hirshland I was looking forward to reading The Flower Girl Murder. Daisy Burns (the flower girl of the title) was a likable, devoted wife and mother who spent her spare time volunteering at school events – why would someone shoot her three times and dump her body behind a Planned Parenthood chapter in North Carolina? With no witnesses and few leads, Raleigh detective Marc Allen turns to the press for help—specifically, veteran news anchor Lancaster Heart. When Tanner Goochly Jr. a member of a notorious crime family becomes the victim of another point-blank shooting, Allen races to discover the connection between the murders. Could it be that Daisy was somehow involved with an illegal enterprise, or was she hiding something else, another secret to be discovered? As the body count rises the suspect pool is widening. As Allen’s investigation reaches a fever pitch, he realizes that a mother’s choice could have killer consequences. This is so much more than a story about a murder, it’s about the sleepy town of Raleigh where the murder takes place and how its inhabitants come to terms with the repercussions of the event. Everyone in Raleigh seems to hold a piece of the puzzle and it is up to Marc and Lancaster to make the pieces fit. I really like the character of Lancaster Heart, an all-round good guy; the addition of his story and engagement to his long term partner Brodie really add some depth and heart to the tale. I also enjoyed the cheeky promotion of Big Flies which happens to be the book Lancaster is reading on a plane journey. 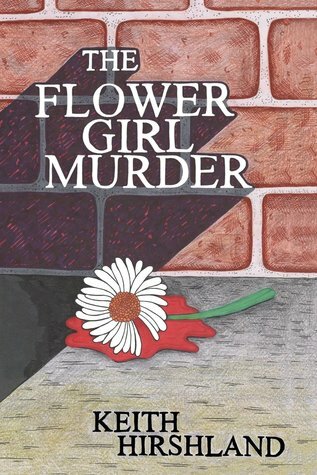 Although the flower girl (so-called because of her name Daisy, not because she sells flowers) murder is a theme throughout the book, much of the book is focused on personal relationships among the characters. There are many interconnections and a lot going on their lives, which keeps readers' attention. The lack of scene breaks in the Kindle edition made it a little hard to follow because you would be reading about the detective in North Carolina, and the next paragraph you would be reading abou Although the flower girl (so-called because of her name Daisy, not because she sells flowers) murder is a theme throughout the book, much of the book is focused on personal relationships among the characters. There are many interconnections and a lot going on their lives, which keeps readers' attention. The lack of scene breaks in the Kindle edition made it a little hard to follow because you would be reading about the detective in North Carolina, and the next paragraph you would be reading about the newscaster in Reno with no transition. The ending was not completely satisfactory to me. The case was officially "solved," but was the solution the correct one? I personally prefer conclusive endings, but I recognize that some people like books that end with questions and even cliffhangers. Those readers will enjoy the ending more than I did. Perhaps there is a sequel coming up? In The Flower Girl Murder, author Keith Hirshland weaves a riveting mystery/police procedural tale that follows Raleigh N.C. Detective Marc Allen, and veteran news anchor Lancaster Heart as they investigate the unexplained murders that start to pile up in their town. Author Keith Hirshland provides a multi-layered storyline that has enough mystery, suspense, drama, treachery, secrets, and intriguing twists and turns that keeps the reader guessing, while weaving an intricate and complicated web of In The Flower Girl Murder, author Keith Hirshland weaves a riveting mystery/police procedural tale that follows Raleigh N.C. Detective Marc Allen, and veteran news anchor Lancaster Heart as they investigate the unexplained murders that start to pile up in their town. Author Keith Hirshland provides a multi-layered storyline that has enough mystery, suspense, drama, treachery, secrets, and intriguing twists and turns that keeps the reader guessing, while weaving an intricate and complicated web of what the motive of the murders could have been, and the spectrum of possible participants who could have been involved in committing them. And if that isn't enough to captivate the reader, the author adds a wonderful touch of humor and a bit of romance into the mix to keep them entertained. The Flower Girl Murder is an exciting police procedural/crime mystery story that has realistic characters; witty dialogue and interactions; rich descriptions of the setting that transports the reader to Raleigh, NC, Reno, NV, and Aspen, CO; a fascinating behind the scenes intertwining of police procedural and investigative techniques and the news station on-air news stories and CTA (call to action) segments; and a multi-layered storyline that draws the reader into the interconnection between the main characters as the pieces of the murder investigations puzzle comes together and is solved. The Flower Girl Murder is the kind of mystery that easily keeps the reader captivated, guessing, on their toes, and wanting more! Disclaimer: I received a copy of the book from the author in exchange for my honest review and participation in a virtual book tour event hosted by Virtual Author Book Tours. The Flower Girl Murder by Keith Hirshland is another crime investigation. A murder that goes unsolved until a clue pops up...from there I was hooked. Not everything is what it appeared to be. A young woman who appears to be a decent woman is found dead. No clues as to why or who did it. Then, another body is found and the detective is racing to find out why and how they're connected. Two murder victims with an apparent opposite lifestyle are now dead. The race to find the killer is exciting. Cri The Flower Girl Murder by Keith Hirshland is another crime investigation. A murder that goes unsolved until a clue pops up...from there I was hooked. Not everything is what it appeared to be. A young woman who appears to be a decent woman is found dead. No clues as to why or who did it. Then, another body is found and the detective is racing to find out why and how they're connected. Two murder victims with an apparent opposite lifestyle are now dead. The race to find the killer is exciting. Crime, secrets, and lies keep the detective, Marc Allen busy. But then someone remembers something...and from there all hell breaks loose. There was a lot of action, intrigue, and suspense to keep me entertained. The who done it kept echoing in my mind...guessing happened a lot. Keith Hirshland is a talented writer. He made it impossible to stop reading his book. The detective is a determined fellow who gives his all into solving his investigations. I really liked this character. Overall, this was a great read. I recommend it to all. The Flower Girl Murder wasn't what I expected. I have to be honest, I almost stopped reading it until a body was found next to a dumpster. I understand everyone is different when it comes to books. For me, that's when I got hooked in and didn't set the book down after that point. Overall a really good read! I had to dig my teeth in the first pages but once I did I was on a twisty turning ride. This one turned out to be worth the ride. A fast paced story with great characters. Just the right amount of suspense and romance. The plot had some twists making it entertaining. As the bodies begin piling up it's a race to solve the mystery. This book has murder and a bit of romance. Just a bit. Just enough for someone like me who isn't into romance but likes a bit of it within the story. There are many twists and turns in this book and you may or may not be satisfied with the ending, but I personally liked it. I read Big Flies and I was very excited to read The Flower Girl Murder. I have to admit that I had a hard time getting Daisy Burns is you typical wife and mother that cared about her family and volunteered. Until her body is discovered with three bullet holes behind a Planned Parenthood in North Carolina. No clues are found so the police turn to the news to look for tips. An elderly woman thinks she recognizes Daisy. Then a gangster turns up killed in the same manor. How can these two be related? Keith Hirshland is the son of a local television broadcast icon and a thirty-year, Emmy Award-winning, veteran of the television industry. His experience has taken him all across the country, covering sport's most famous athletes and television's most interesting and charismatic personalities. Hirshland was on hand for the beginning stages of ESPN2 and one of the first forty people hired at the Go Keith Hirshland is the son of a local television broadcast icon and a thirty-year, Emmy Award-winning, veteran of the television industry. His experience has taken him all across the country, covering sport's most famous athletes and television's most interesting and charismatic personalities. Hirshland was on hand for the beginning stages of ESPN2 and one of the first forty people hired at the Golf Channel when the world's first niche sports channel began its preparations in 1994. For years, he was part of the production team for golf's nationally televised Skins Game. Hirshland has worked alongside sports television's most iconic figures while following, documenting, and befriending sport's most recognizable names. Cover Me Boys was awarded the Book Talk Radio Club Memoir of the Year. Hirshland's second book, Big Flies, is a New Apple Awards "Solo Medalist Winner" and a Shelf Unbound runner-up in the Best Indie Book of the year for 2016. The novel incorporates four of the world's most notorious, still unsolved crimes. It's a story of a father and a son and a tale of deception and discovery. Four crimes, One thief? Big Flies says Yes! And now Hirshland is back with The Flower Girl Murder, his latest mystery. It takes the reader from North Carolina to Northern Nevada and back as Raleigh P.D. detective Marc Allen tries to solve not one but two murders.